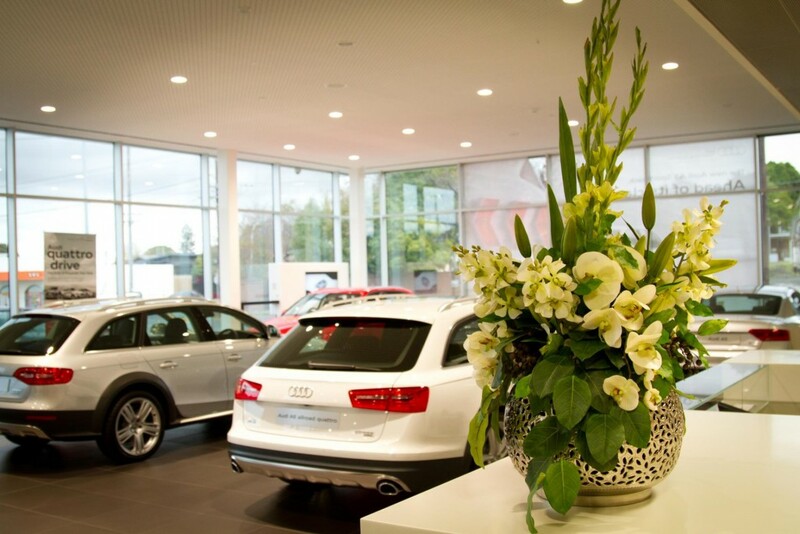 One of our regular clients in Geelong is the Audi showroom on La Trobe Terrace. We regularly update their artificial flower arrangements to keep their car display showroom looking professional. Most people love flowers and they are a welcome addition to many commercial environments which can tend to be a bit bland. Premier car showrooms feature shiny, beautiful new cars and therefore can’t have wilting fresh flowers, they need the ability to hire beautiful artificial flower arrangements which can be changed regularly. Each month our florists at Buds to Blooms arrange custom artificial floral arrangements which are then distributed to our clients by our friendly staff. If your commercial environment could use a bit of colour and vibrance in the form of flowers, please do not hesitate to contact us.